Travelling is good for the soul. Living in a new, exciting country is too. It is not said that you should plan a big home removal to a foreign country now. It would be more than enough to pick up a nice travelling destination for the upcoming summer. Now, instead of spending the days that you are free of work on the couch or visiting the same place you have gone for the past ten years, pick up a more exotic place. Travelling abroad is not that expensive in the age of low cost flies and AirBnB, especially if you plan your journey several months in advance. Immortalized in the classic novel by Earnest Hemmingway “The Sun Also Rises. 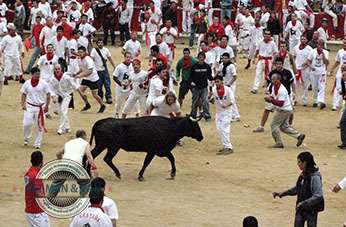 Fiesta”, Pamplona is one of the most interesting places in northern Spain. The city is the historical capital of the Kingdom of Navarre but today it is most famous around the world for the running of the bulls during the San Fermín festival, which is traditionally held between July 6 and 14. It is the time when you simply want to be in Pamplona. If you want beautiful beaches, friendly people, great nature and food at a cost, then coming to the Dalmatian coast of Croatia to spend your summer vacation might be the wisest thing to do. There are many cities, towns and smaller villages here for you to choose from, and you will definitely find accommodations up to your standards and liking. The coast, traditionally known as the Italy of the Balkans, is characterized by typically Italian architecture and the many islands along the shore that spot the waters much like the spots of the eponymous dog breed. It is really a captivating place. Well, Istanbul, the old capital of the Eastern Roman Empire and the Ottoman Empire after that is known as the top tourist destination in the world in the past decade or so. Over twenty million people visit the city on an annual basis since the beginning of the 21st century and their number is constantly rising. There are good reasons for that – nice hotels, good food, reasonable prices and of course thousands of place to visit – from Hagia Sofia to the bohemian district of Pera, Istanbul is perfect for both seasoned travelers looking for adventures and first-time adventurers. The city is like a scene from A thousand and one nights, but it has enough stories to fill even more nights. These are of course only a few suggestions. Feel free to spin the globe, stop it with a finger and go to the place that you have spotted there. This is how most of the great adventures begin. England is home to numerous UNESCO World Heritage Sites which everybody should aspire to visit and experience in person. Tower of London – Recognised by UNESCO in 1988, the Tower of London is one of the city’s most distinguishable structures and visited landmarks. The oldest part of the site, the White Tower was built by William the Conqueror during the late 11th century. Since then the fortress has been the subject of several alterations. Throughout the years it has been used for various purposes and today is one of Europe’s most interesting and well-known museums. It houses the Crown Jewels and is visited by over three million people on a yearly basis. Kew Gardens is also the location of several ornamental edifices and structure which will undoubtedly impress you. So if your removal to London was successful you can take the day off and visit this astonishing garden. Durham Cathedral – The English capital isn’t the only city that is home to World Heritage Sites. As the name suggest this marvelous religious edifice is located in the northern city of Durham. The construction of the cathedral began in 1093 and ended four decades later in 1133. Its central tower is 66 metres tall while the western towers are 44 metres tall. The building is built in the Romanesque architectural style and is credited to be one of Britain’s most beautiful religious structures. It was acknowledged by UNESCO in 1986 and is today on of England’s most recognisable landmarks. So, if you have never been to Durham, you can use your tiredness from your recent domestic removal as an excuse for a road trip and take the weekend to explore the city and visit this mesmerising cathedral. Fountains Abbey – Built during the first half of the 12th century, today Fountains Abbey is one of the largest and best preserved ruinous Cistercian monasteries in England. It lies in close proximity to the city of Ripon in the county of North Yorkshire. The abbey functioned for over four centuries and was abandoned in 1539, when King Henry VIII decided to dissolute all Catholic structures in the United Kingdom. 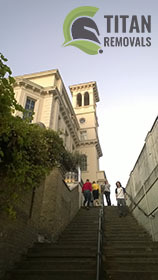 In present day the monastery is owned by the National Trust and is listed as a Grade I edifice. It became a UNESCO World Heritage Site in 1986. Derwent Valley Mills – Located along the River Derwent this complex of industrial buildings dates back to the 17th and 18th century. It was designated as a World Heritage Site in 2001 and is currently visited by numerous local and foreign vacationers on a daily basis. The Derwent Valley Mills are also the location of several listed edifices and Scheduled Monuments. 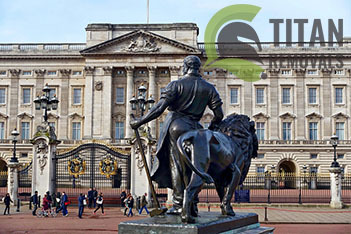 London is the official seat of the British monarchy which automatically means that the city is home to numerous places that are associated with the King and Queen of Britain. Here are the most famous royal landmarks of the English capital. Buckingham Palace: Buckingham Palace is the Queen Elizabeth’s official residence and one of London’s most renowned and recognisable landmarks. In was made the Royal Palace in 1837 when Queen Victoria accessioned on the British throne. It has a total of 775 rooms which are opulently decorated with vintage furnishings and paintings. The State Rooms of the Palace are opened for visitations during the summer months of the year, so make sure that you explore them as a reward for your successful removal in London. Household Cavalry Museum: One of the city’s finest and most visited museums, the Household Cavalry Museum is dedicated to the life of the royal guards and gives its visitors the unique opportunity to see how the Household Cavalry gets ready for the Changing of the Guard Ceremony. It also allows access to the 18th century stables which house the horses. The museum also showcases a rich collection of military memorabilia with some of the items being more than 300 years old. Hampton Court Palace: This majestic edifice was the official residence of the British monarchy until the 18th century. Its most famous inhabitant is beyond any doubt King Henry VII. Hampton Court Palace was the site where the infamous king proposed to his third wife, Jane Seymour. Today the building is open to the public and visitors can benefit from costumed guided tours. The gardens that surrounded the palace are as fabulous and are home to a breathtaking maze which is often described by travelers as a must see site. Royal Mews: The Royal Mews are fully functional stables and are part of Buckingham Palace. They also house the royal collection of historic carriages and coaches, as well as automobiles which are used during state affairs. The Gold State Coach is the most prominent exhibit of the site and was used during the Golden Jubilee festivities of 2002. So if you are interested into learning more about her Majesty’s transportation means, you should definitely visit the Royal Mews once your relocation to London is over. Know that you can accelerate your move by using professional removal services. Other royal sites that are worth a visit: Kew Palace, The Queen’s Gallery, the Tower of London, shops that are granted with a Royal Warrant Holders. Much like England, New Zealand is an island nation. What is more, being part of the former British Empire, it shares many cultural values and peculiarities with England, so you will not feel like you are in a thoroughly different place. Adjusting to the way of life in New Zealand would easy for you, and the climate is so much better than the one that you can experience in London, Liverpool or Manchester. New Zealand is one of the top ten counties with the cleanest air in the world. This is due to the relative low development of heavy industry, the low population density and the uniquely huge forest reserves on the territory of the country. 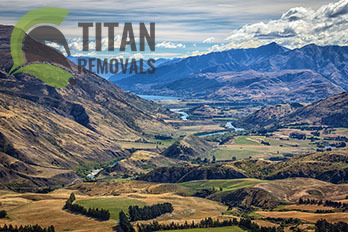 If you want a healthy environment for you and your family, New Zealand is definitely the place for you. New Zealand is a socially conscious country. And we are not talking only about its residents, but rather on a global scale. The Center for Global Development’s 2012 Commitment to Development Index places New Zealand on 8th The list ranks the most developed counties in world in terms of their dedication to policies that benefit poorer counties. Did we mention that New Zealand has a magnificent nature? Located almost in the perfect centre of the water hemisphere, it consists of two large and many more smaller islands. The two main islands are respectively the North Island, or Te Ika-a-Māui, and the South Island, or Te Waipounamu, which are separated by the 22 kilometers Cook Strait. No words can do justice to the beauty of New Zealand’s landscape. The only way to truly appreciate it is to actually see it, if not in person, at least in pictures, or better yet – on film. As you may already know, the Lord of the Rings trilogy was filmed in New Zealand, which means that all those breathtaking mountains, forests and plains actually exist and you can visit them if you come live here. The culture of New Zealand is diverse and very interesting. From the indigenous Maori art and traditions to cultural adaptations and borrowings of European customs and concepts, it is something that you should definitely check out. New Zealand is one of the best developed economies in the world. This means that finding work here, and a well paid one, especially if you are good at your profession, would not be a problem at all. You will definitely be able to live a full and satisfying life here with no more struggle and worries. Okay, so the year is coming to an end and you are currently moving to a new house and you are already contemplating on how you should celebrate all the good things that happened to you throughout the last twelve months. An excellent way to rejoice a great year is to have a vacation and celebrate the holidays abroad. 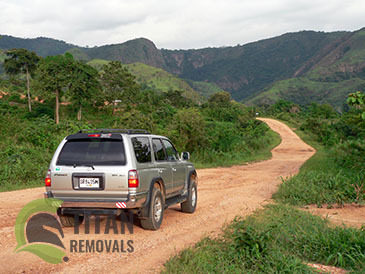 As soon as you have arranged the final details of your removal and paid the contractors that provided you removal services, start planning your upcoming trip by drafting a list of potential destination. Think whether you want to be at a sunny and warm place such as Spain, Morocco or South America or a location that is renowned for its Christmas ambiance such as Germany, Czech Republic or Austria. Then designate a traveling budge and use it to filter out all possible destinations from the impossible ones. For example a trip to any South American country would be more expensive than a vacation to Austria. When you are drafting your budget, make sure that you will an emergency buffer that will allow you to cover unexpected costs during your trip. Your next step should be to rent a flat or book hotel rooms. It is very important that you find comfortable accommodations for your vacation as the main goal is for you and your family to rest and relax. You can learn more about the local hotels and apartments by visiting traveling websites and reading customer comments. Always scout several establishments before you make a final decision and last but not least, always consult with your spouse. There is no point into going to a foreign country is you are going to celebrate the holidays within the rented flat or hotel room. So, get online and learn more about want the locals do during the winter holidays. Also, reconnoiter several restaurants that have holiday programs and book a table for you and your family. Learn in advance at what hour and which square the Christmas tree will be lit, so that you can witness it. Seek out a place where you can leave your children for several hours, so that you and your spouse and go and buy gifts. Once again, do not opt for the first establishment that you find. Scout several and contact the one that appears to be the most trustworthy, after all you will be leaving your children. If your kids are big enough you can give them money to go and explore the city or village while you are shopping. Now that you have set everything in motion, book flight tickets at a day and time that best suit your schedule and announce the news to your family. Before you leave take the time to learn basic words and phrases in the local tongue so that you can communicate more easily with the local denizens and make new friends. The last thing that you should do before you leave for your new adventure is to pack your bags and remember to have a great time. Let’s start off by saying that unless you absolutely have to, it is highly recommended that you postpone your home relocation for after the winter is gone. In those cases when this proves impossible, here are several simple things that you can do in order to make sure that the process goes as smoothly and successfully as you hope for. Stay in touch with the removals company that you have contacted to help you with the relocation at all times. Explain the situation. Due to poor weather conditions it might turn out that your moving day should be postponed or carried out ahead of schedule. In any case, make sure that you have movers you can trust who will give you the best advice how to proceed in the given situation. Make sure that the place you are moving in is ready to receive you. Problems with the heating and other utilities are always unpleasant, but they might be devastating in case you are moving during the winter months. Make sure that the place is well heated, there is internet access, the water is running etc. You might have to put a little more effort into all of this, but trust us, that is the only right way to proceed in the given situation. Consider, instead of moving all your things to your new place, to put them away in storage for the time being. 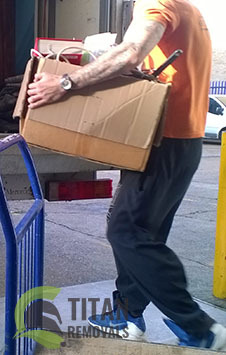 Your removal company will help you arrange long or short term storage in a clean facility, and even move your goods there. Thus the actual home move would take up much less time and resources, and you will be able to finish up with the unpacking and settling down at your new home faster. Remember that is what you are after here – completing the project as quickly as possible, so that you do not have much to worry about. Check out the insulation at your new place before you move in. You should make sure that your new home is energy efficient for a number of reasons. First this will have a good effect on your family budget, because energy efficiency means lower utility bills. Second, since you are just moving in, the better the insulation, the quicker the place will be warmed up. Start packing and preparing sooner. It is always better to commence packing of your goods at least a month before the actual removal, but in case of winter home moving, you will have so many additional tasks to handle and problems to think about that it would definitely be better if you have some time set aside for handling those. So the sooner you start working, the better. Remember the general rules of packing – pack a room at a time and move on to the next one only after you are finished with the current, and always put labels with the contents of the boxes. Make no compromises with the quality of the supplies. Get double walled removal boxes, because if they get wet (and they are likely to), the regular ones will create quite a problem.